The average driver spends two hours in the car each day commuting to and from work, school and other destinations. source. Average where? I can believe that the average American family spends two hours per day delivering adults and children to school and work. Is it commuting to go to other destinations than work? No; the verb means to go to/from work. How much time do we spend commuting? Research in 2015 by the TUC reported in the Guardian says it is rising. The number of [UK] people commuting for more than three hours per day has risen from 500,000 in 2005 to 880,000 in 2015. 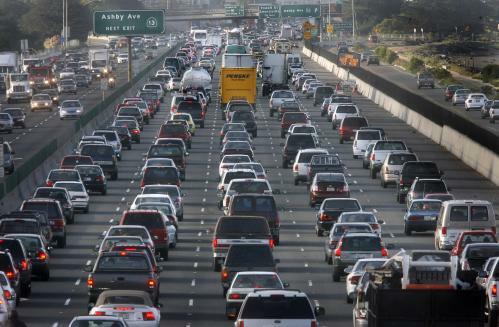 Average commute has risen from 2004 52 mins to 2015 55 mins. The average EU commute is 37.5 mins per day [independent]. The Mail says 98 minutes. As ever, we have numbers that conflict. ². Of course, despite essay 213, we know what is going to happen when we have driverless cars. Even more time will be spent mindlessly prodding at the mobile, making pointless comments on social media, each of us kidding ourselves that this is essential, pointful, relevant and productive activity. Unless you are already some sort of famous person upon whom a following rely and their livelihoods depend upon you providing output, no it isn’t. Really. Once, when considering moving out of Cambridge into the countryside, the wife and I drew up a contour map of reduced house price (think money per unit area) and travel time; we were balancing the time spent in future commuting against the perceived gains in living further out of town. We re-ran this thinking many more times, as we moved house often. I am sure we were not the only people doing such thinking. There is some advantage to the lifestyle gained by living away from the place of work, which is balanced by the costs of the subsequent travel (the travel itself, such as by car, plus the use of the time involved). The very many people who commute into London—any big city—have all done some of this thinking. Commuting on the train allows one to use the time profitably, though I noted often when doing this that the vast majority made very little use of the time. It is difficult to use the same time when in a bus or coach (not impossible, just difficult), and harder still to turn the action of driving into profitably used time. Some of this rubs up against one of the standing complaints about British industry, which which I mean work in general, not manufacturing; we are remarkably unproductive. That productivity is a measure of hours worked against value generated. This suggests that, among other things, we manage to spend quite a lot of time at work doing things which are not-work. Fingers are being pointed at the use of social media while at work, the practice of trying to so several things simultaneously (I’m sure that IS productive in some circumstances) but actually being significantly less productive than serial processes. I suspect that what we have wrong is motivation and measurement - the metrics are ineffective, the communication of business purpose has long been lost. And, in many cases, the work itself is inherently unproductive. It is very difficult to find value in the time spent soothing ruffled feathers, in doing what amounts to social work within the workplace; to allow this to be called productive time spent (which it probably is), we need to declare that it has value. I am certain that in most businesses this is the same time that is declared to have value rated in some non-positive way. I am reminded of the effect of Paddington Bear on his surroundings (making people happier); how can we fail to put a value on that? At the same time, how on earth do we ascribe such value? I’ve been in businesses where the solution is simply to declare an overhead percentage and be happy when that was reached. Suppose your overhead is 100% (half your time is to be productive); then the other half can, in a sense, be used for anything you can call ‘work’, whether that be administration, research, sales support, motivational activities…. All of this requires a degree of trust and motivation that I have written about in the Learning Business. 2 OnePoll polled 600 commuters (rail commuters? ; they would. I found the OnePoll website very clumsy. Searching for ‘commuting’ told me about trips into space, searching on ‘travel time’ gave me that and loads of studies with no relevance to commuting (nor to time spent travelling). I did not find the report on which the reporting was based. 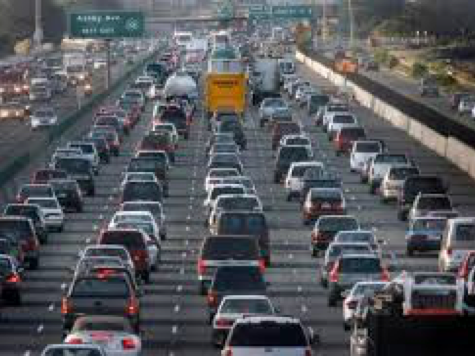 4 Suppose the work force is 30 million, that daily travel times include 2 million for 2 hours, 1 million for 3 hours and that the average travel time is 40 minutes. What then is the average travel time for those who travel for less than two hours? I get 27 minutes. If 3 million work at home (and so don’t commute, rather than have a commute time of zero), then the majority group mean goes over 30 minutes. To me, all this tells us is that yet again. ‘average’ is not a helpful piece of information. Among other things, we’re declaring that commute time must be non-zero. If this was a Normal distribution with the median at 1 we’d have 20% outside [0+,2]; so 45% travel an hour or more, 40% between 1 and 2 hours; 45% an hour or less including 10% at zero time. I will continue to look, sporadically, for evidence describing the distribution. This may turn into a page of maths elsewhere on the site.